Sleep experts have discovered that a person’s favorite sleeping positions reveals their personalities. Have a question other than what’s on our F.A.Q. page? Use the form to the right and ask us! Many sleep experts recommend replacing your pillow once a year — but with today’s busy lifestyles that doesn’t always happen! If you wake up with a sore neck, change your pillow. If your head doesn’t align with your spine naturally, you need a new pillow. It doesn’t matter if you’re a back sleeper or a side sleeper – the pillow should be a thickness that maintains this natural alignment. Where can I buy Relax Right™ pillows? 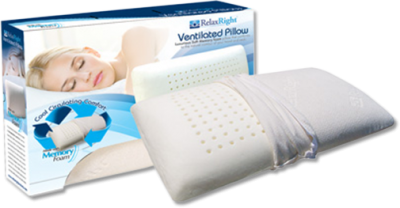 Relax Right branded products are available at relaxrightproducts.com. What sizes do Relax Right pillows come in? 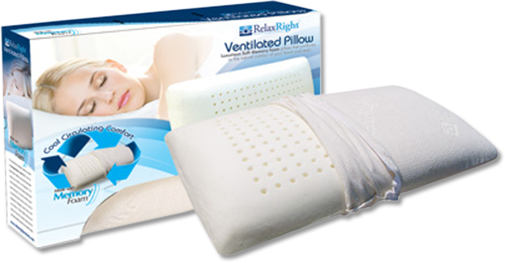 Relax Right pillows are currently available in 4 sizes: King, Standard/Queen, Kid’s, and toddler. There are lots of projects on our drawing board, so check our website to see what’s new! 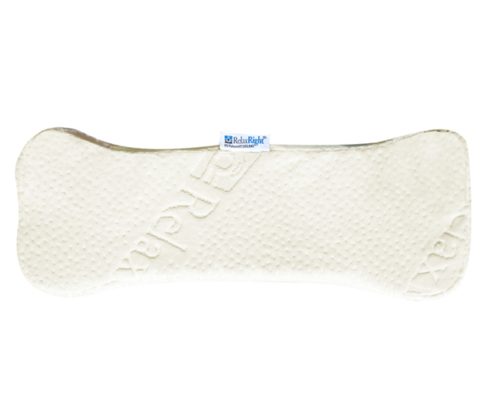 The unique design of the Relax Right pillow allows the sleeper to orient the pillow for his or her maximum comfort. Simply flip it around to find your most comfortable position! Our frequently requested products are occasionally may take longer to receive. In the unlikely event this happens, you will be notified during the ordering process. If you too excited about having a great night’s sleep and can’t wait, we can send you a similar product in exchange; otherwise, a full refund is guaranteed. 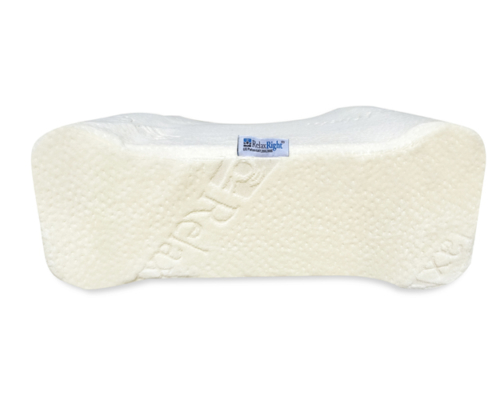 How are Relax Right Products different from other pillows found at retail? 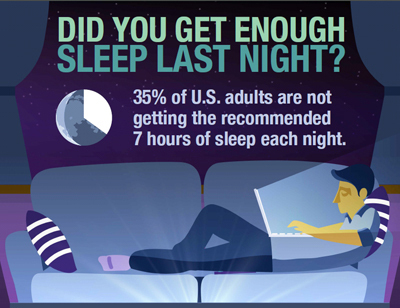 Relax Right’s mission is to use technology and science to sleep better and wake up feeling GREAT! Like a perfect recipe, Relax Right’s patented technology, time-tested memory foam, and soft fabrics combine to give you the best night’s sleep ever. In addition, Relax Right wants to enhance your shopping experience with the ease of having your purchases show up at your doorstep. All to help you sleep better and wake up to a GREAT morning! Should I use a pillow case? The short answer is YES! 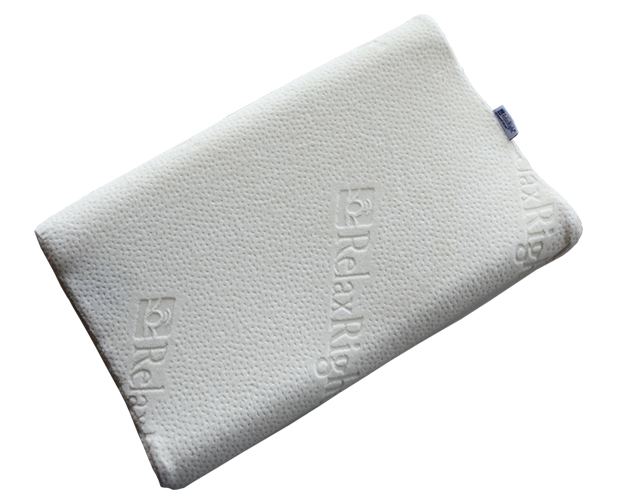 The Relax Right pillow is shipped to you with an elegant anti-microbial velour cover. In order to maximize the anti-wrinkle properties of back and side sleeping, we recommend a soft pillowcase, like very high thread-per-inch cotton, satin, or silk. How do I clean the pillow? To get the maximum use from your investment, be sure the velour cover is installed while the pillow is in use. This is especially true in the case of the toddler pillow-for some reason kids are just fascinated with memory foam! For best results, unzip the velour cover of your pillow and remove it from the memory foam core. Machine wash the velour cover in cold water, and let it air dry. The memory foam should only be spot washed with a small amount of soap and warm water. Allow the foam core to dry before re-installing the velour cover. Why does the pillow smell when the package is opened? Relax Right Products are manufactured and packaged shortly after production to ensure rapid delivery. Due to the rapid packaging process, odors may not have had enough time to dissipate completely. Not to worry, the smells are non-toxic and harmless. To eliminate them rapidly, remove the pillow from its covers, launder the covers and give the pillow time to air out for a few days. Do you ship internationally or to Canada? Unfortunately, at this time Relax Right Products can only be purchased and shipped within the United States through our web site. Got a Question. . .Ask Us! Relax Right pillows are more comfortable! 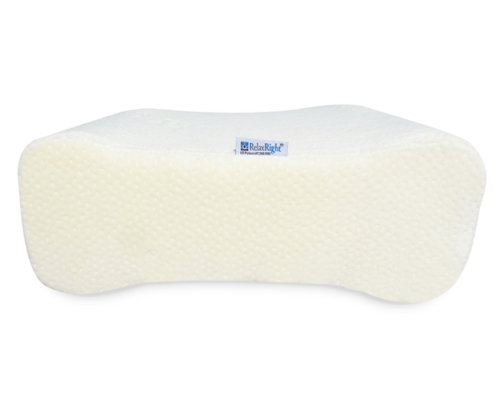 In addition to being shaped correctly and the relaxing hammock effect of the hollow core, Relax Right uses two types of pressure relieving memory foam allowing it to be more supportive under the neck area and softer under the head and face area for ultimate comfort.